Find out everything you'll be learning about Battlefield V before launch. With the Battlefield™ V Open Beta finished, and only two months to go until we launch, we wanted to let you know that there's so much more about the game you're going to hear about directly from us. And with that, we're making a commitment to the Battlefield community on exactly what you will learn about from us between now and launch. From new trailers, to deep dives on the Battlefield homepage, to more episodes of Battlefield V Dev Talks, and our continued Dev Takeovers for those that follow DICE on Twitter, we can't wait to share more with you. Below you'll find details of everything we'll be covering for the Battlefield community between now and launch – with a few surprises held back, of course, too. 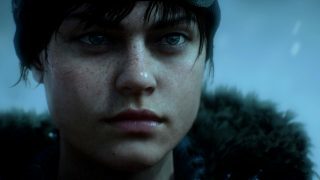 Open Beta Aftermath: Last week we talked about what we learned from the millions of you who took part in the Open Beta, and how we're making updates before launch, along with the release of the second episode of our Battlefield V Dev Talks with UX Designer Nathalie Ek, Franchise Design Director Daniel Berlin, and Multiplayer Producer David Sirland covering it in full. Classes and Combat Roles: This week, we'll focus on the Classes and Combat Roles of Battlefield V and how these will give players unmatched choice, control, and the ability to turn the battlefield to their advantage like never before. 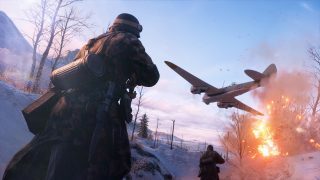 Maps of Battlefield V: We teased all eight multiplayer maps available at launch during our recent This is Battlefield V trailer, but now it's time to show you more about these maps, their World War 2 historical inspirations, and the gameplay experiences you'll get across them. 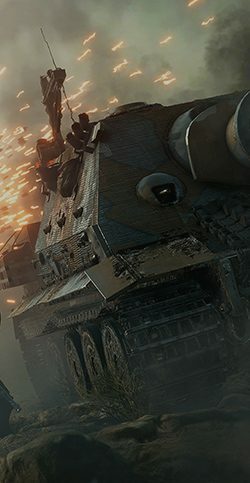 Weapons and Vehicles: You'll experience an immense arsenal of weapons and vehicles at the launch of Battlefield V, and we can't wait to start revealing them to you, as well giving you many more details about how you'll upgrade, customize, and progress them from launch as part of your Company. War Stories: In our single-player War Stories, you'll witness WW2 through the eyes of the men and women who were entangled in a conflict that would change the world forever. We'll tell you (and show you) more from our Prologue, Nordlys, Under No Flag, Tirailleur, and The Last Tiger War Stories. Tides of War: We've told you that there will be no more Premium Pass, but what will the post-launch Tides of War journey be for Battlefield V players? We'll bring to life our first Chapter, Fall of Europe, detailing themed, timed events within it and a tease of what's to come in the future as the game evolves and continuously grows. Combined Arms: We know we've barely scratched the surface with Combined Arms, so it's time to tell you more about what the co-op experience will be and when you’ll get to play it. This mode is the perfect warm up before a multiplayer match, or the place to enjoy the thrills, screams, and laughs that come when playing with friends. Firestorm: Are you ready for battle royale, reimagined for Battlefield V? Prepare to discover more about the all-out war of survival, where players fight to become the last squad standing. It’s a new and different way to fight, with the massive scale of weapons, vehicles, team play, and destruction Battlefield is renowned for. Grand Operations: As we reach the final stretch before launch, we will tell you more about the ultimate multiplayer experience for Battlefield V – Grand Operations. We'll tell you about Grand Operations at launch and then how it will evolve during Tides of War, as you'll fight across other unseen and unplayed battlefields of WW2. Plus, the Road to Battlefield V will carry on, where we'll continue giving away expansions from both Battlefield™ 1 and Battlefield™ 4 to base game owners for free. Battlefield 1 players can also earn gear for later use in Battlefield V*. Deploy with a unique tactical loadout – pre-order Battlefield V and get the Firestorm Ranger Set**. *Requires Battlefield 1 on applicable platform (sold separately), Internet connection, EA account, and for console players, an Xbox Live Gold or PlayStation Plus account (each sold separately). You must log into Battlefield 1 with the same EA account used to earn the rewards. ***CONDITIONS, LIMITATIONS AND EXCLUSIONS APPLY. SEE ea.com/ea-access/terms AND origin.com/store/origin-access/terms FOR DETAILS. One free trial per EA account. After the trial, the current Origin Access monthly or annual membership fee will be billed. Cancel during the trial period without charge.